Named a “Snowy Telluride Getaway ‘Dream Escape’” by Travel + Leisure, Lumiere Telluride is more than just a conventional winter retreat. Here, on the slopes of Telluride Mountain and along the banks of the San Miguel River, awaits a luxury boutique hotel that understands just what you’re looking for in a winter vacation. From the moment you arrive, the sophisticated and stylish hotel will make you feel like you’ve stepped into a new world and the surrounding mountain views serve to enhance this incredible setting. This is a getaway unlike any other you’ve experienced before. Lumiere focuses on personalized service for all of its guests. With only 29 available lodging options, including charming hotel rooms and modern one to five-bedroom residences, Lumiere is able to create a place that is uncrowded and comfortable, a place that allows them to care for each of their guests on an individual level. 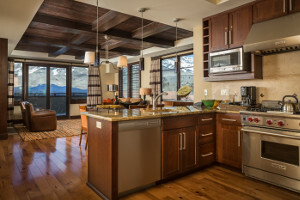 Their attentive and professional service is only highlighted in the many onsite amenities that are available to make your Colorado retreat one to remember. As a luxury ski-in/ski-out destination, Lumiere partnered with Black Tie Ski Rentals to bring you a Telluride equipment rental and ski valet service right onsite. Their convenient location at the base of Mountain Village puts you just steps from Lower Boomerang Ski Run and Lift Four which services the entire mountain. Black Tie offers the newest and best brands for ski rentals, including Volkl, Dynastar, Atomic and Nordica. The shop also offers top-of-the-line in ski clothing, gloves, goggles and hand/feet warmers to get you fully prepared for your skiing or snowboarding adventure! "We work with only the best outfitters and guides in the region to ensure our guests experience Telluride to the fullest,” said Bas Afman, Assistant General Manager at Lumiere. And you’re sure to do just that; Telluride’s setting in the heart of the Rocky Mountains ensures there’s plenty to explore on your ski trip. Enjoy the views on the ride up the lifts and test out all the challenging terrain that’s ideal for both beginners and experts. After a long day, retreat to Lumiere’s outdoor hot tub, warm plunge and cold splash pools! Go through in that order and you’re sure to feel rejuvenated and warmed up in no time. You’ll love the brilliant starry-night sky as you lounge in the tub and soothe away all those tired muscles. And if you’re looking for a little more to help you relax, their in-room spa services are sure to do the trick. Choose from traditional Swedish or Mountain massages and let their skilled professionals help you unwind. Top it all off with a top by the Little Bar, a comfortable Lumiere retreat that serves up your favorite drinks in a cozy mountain setting with large indoor fireplaces and plush couches! 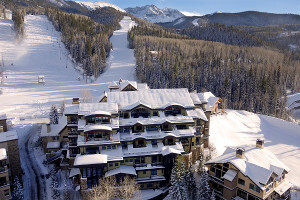 Ideal Winter Getaways in Breckenridge!